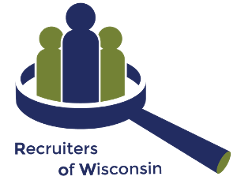 ROW believes it is important to bring our membership all of the resources, support and information necessary to build strong recruiters and executive recruiting firms in Wisconsin. Effective vendor sponsorship can assist ROW in that endeavor. Vendor sponsorship allow ROW members direct access to organizations and businesses that can produce a positive impact to a recruiter’s business—introducing helpful products or services that were previously unknown. Vendor Sponsors are endorsed by the ROW organization and featured as a recommended resource for our Members, both at our education and training events and on our website. Any vendor whose products or services enhance a recruiter’s business, placement potential, client relations, candidate relations or employee relations is welcome to participate in ROW as a Vendor Sponsor once approved by the ROW Board of Directors. Need more information on becoming a Sponsor? Contact Board Member – Jeri Meyers, Vendor Coordinator today!